This year has certainly been a rollercoaster: in addition to this crazy presidential election, I’ve suffered the lows of two job transitions, but I’ve also experienced the high of moving in with my amazing boyfriend. However, when you average all the peaks and valleys, what you’re left with is a state that is somewhere in the middle, and my year in books was no exception. 2016’s reading recap can best be defined as “meh.” Although there were a few knockout novels, for the most part, I was disappointed. Super-popular stories like American Gods and Me Before You were just okay, and ones that were supposed to disrupt their respected genres were flat-out terrible. Some authors I’ve read before were consistently good, but others like Rainbow Rowell ranged from amazing to mediocre. And here is my master list of books, ranked from best to worst. Consider this my public service: reading lackluster stories so you don’t have to! I have two books left to review, which I hope to get around to during my three-day weekend. I’m also still adding new books to my to-read list for 2017, so let me know what your favorites were this year and which ones I should avoid! Well, as much as I wanted this film adaptation to be a raving success, I came home last night angry and disappointed. To be fair, I’ve never been much of a Tim Burton fan, but I felt that his penchant for creepy cool tales would be fitting for the popular Ransom Riggs novel about a supernatural group of misfits. Let’s start off with the few pros of the movie. 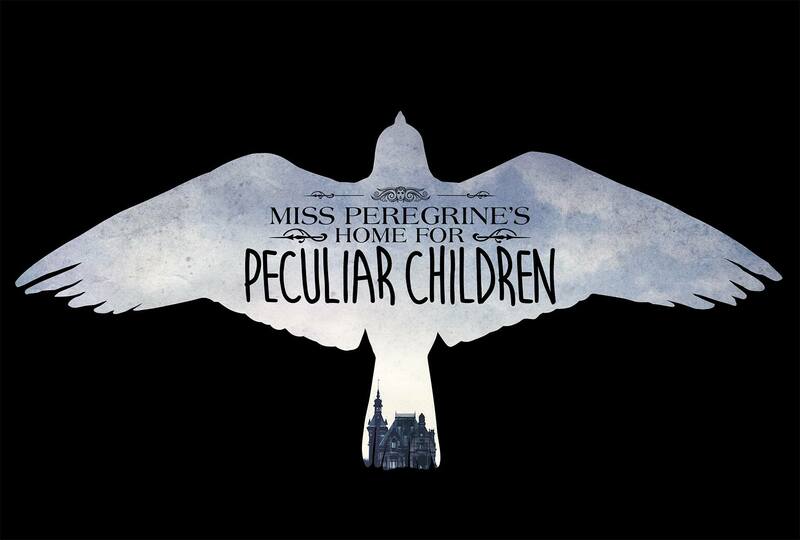 I enjoyed the casting: Asa Butterfield as Jacob was a bit wooden and Eva Green was inappropriately young for the role of the elderly Miss Peregrine, but overall the actors worked well together. I even accepted the strange decision to cast Allison Janney as Dr. Golan, who then changes form into the villainous wight known as Barron, played by Samuel L. Jackson, as simply a change in creative direction to support diversity. The special effects were also impressive, and it was fun to see all the children show off their peculiar powers. I also greatly appreciated how the hollowghasts came to life: they were the tentacled Slenderman-esque monsters that I imagined. Unfortunately, that’s where my compliments end. All the world-building and character development that occurred in the first half of the film came crashing down as the plot veered off course. Nothing about the last half of the movie adheres to the novel. This is because the studio is not likely to make any sequels. It dawned on me that when Jacob and friends actually rescue Miss Peregrine instead of watch in horror as Dr. Golan kidnaps her that there would be no cliffhanger ending. And when the logic of the time loop is altered so that Jacob’s grandfather lives, that’s when I literally threw my hands up in the air and gave up all hope for cinematic redemption. This adaptation is a prime example of how insulting it is when Hollywood uses the original ideas of authors to make money, and yet spit in the faces of the fans who are so passionate about these stories. It continues to boggle my mind why directors can’t just look at books as paint-by-numbers. All the hard work has been done; you just need to follow directions and fill in the colors. And yet, this task was clearly too difficult for Burton. As soon as I learned in the trailer that Emma and Olive’s peculiarities had been swapped, I saw massive red flags but chose to remain optimistic. Now that I’ve seen the movie in its entirety, I can’t even recommend it to non-fans of Miss Peregrine. It’s a clumsy, nonsensical mess. All I can hope now is that my intuition is correct and Hollywood won’t be turning Riggs’ sequels into equally horrendous failures. Fingers crossed! 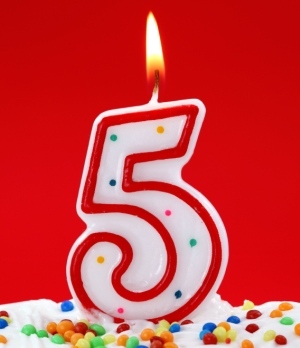 I know that I’ve been busy, but I cannot believe that I almost missed the fifth anniversary of my blog! Many of the book bloggers whom I follow are college students just getting started, so I definitely feel like a veteran after half a decade. In fact, a recent blog referred to my Why I HATE Nicholas Sparks post as “ancient.” Thanks? To celebrate this major blogiversary, I’m here to share five fun facts about your very own Book Club Babe! 1. The Hard Numbers: In the five years that I’ve been blogging, I’ve written 416 posts and gained almost 87,000 total views from over 46,600 visitors. The day with the best views ever (463 total) was April 8, 2015, but that’s only because my talented brother Nick Jarrett launched my personal website alyssajarrett.com that day, which hosts a feed to this blog. Check it out to see my professional portfolio and find links to my vlogs and other social media networks. 2. The Fanbase: Speaking of social media, let’s tally up my fans! I have a total of 850 followers, which includes my WordPress (123) and email (18) subscribers, personal Facebook (234), Facebook page (71), Twitter (151), Pinterest (98), personal Google+ (36), Google+ page (94), Goodreads (21), and YouTube (4). I’m certainly not the most popular blog on the web, but I’ve heard many times that people found books they loved thanks to my reviews, and that makes everything worth it. 3. Most Popular Day and Time of Posts: Tuesday (17% of views) at 12:00PM PST (6% of views). Not surprising, given the popularity of the Top Ten Tuesday meme hosted by The Broke and the Bookish. 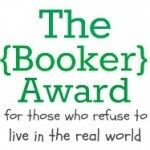 If you’re a new book blogger, join us! 4. Most Discussed Posts: Other than my rant on the romance novel king, my most commented on posts include My Top Ten Goals for 2016, Top Ten Books When You Just Want to Laugh, and my rant on Fifty Shades of Grey. 5. VIP Commenters: I have to give a special shout-out to Alison Doherty at Hardcovers and Heroines, The Other Watson at Wanton Creation, and Bridget at Dog-Eared and Dog-Tagged for supporting me all these years. I consider them some of my first blogging friends, and I wish them all the best in the future! Another year down, hopefully many more to go! Thank you for all the insightful conversations, amazing recommendations, and wonderful memories! The past 14 hours have been a whirlwind of fun: last night my book club met to drink a few bottles of wine while discussing the horrendous novel All the Birds in the Sky (review coming next week!). This morning was even invigorating, because I was finally able to login to Pokemon Go, the mobile game that’s taken over the globe. I’ve been gallivanting around San Francisco hoping to catch them all! But now it’s time to get serious…I have a confession to make. In full disclosure, I have a terrible habit of filing away articles for my blog, then forgetting that they exist. Every time my cursor hovers over the bookmarks folder on my browser, I cringe and try to ignore the growing list as best I can. But 2016 is half over, and I just can’t take it anymore! Time for some summer cleaning! Here are the first six months of literary news in review, in case you really, really missed the boat, or just want to relive the excitement! Can you tell I’m a fan of Gawker Media publications? After reading this list, what literary news made you most excited? And if I missed any headlines, please send them my way!